This Brawny Beanie is a man’s hat. No muss. No fuss. But sometimes simple and quick makes the best of projects. I love it because it takes advantage of a super bulky weight yarn and simple stitches. Yet the finished beanie is a class act. Perfect for walking the dogs or heading out in the cold to a movie on date night. 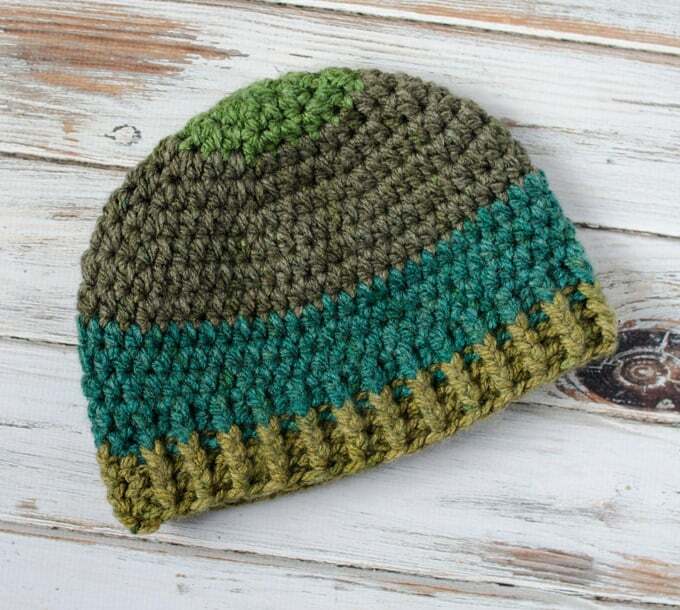 My readers LOVED the Salt of the Earth Beanie, made with worsted weight yarn. 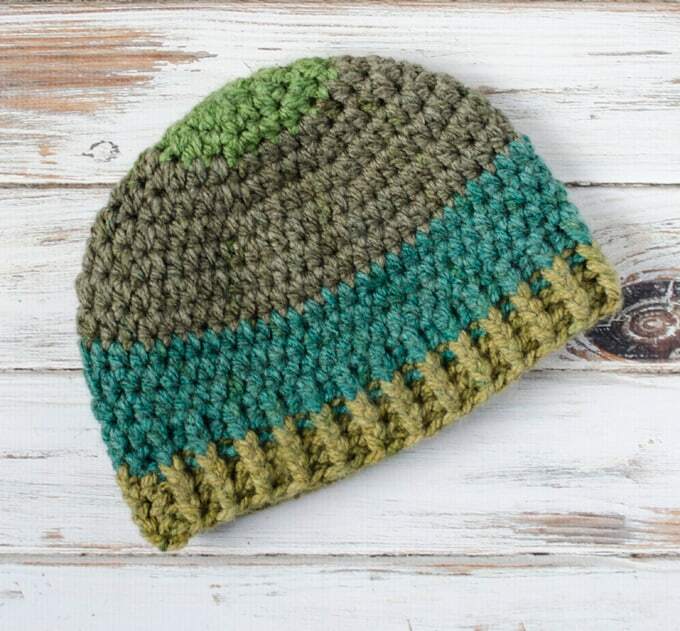 So I thought you might like this bulky weight Brawny Beanie crochet hat pattern! Another great look, but with super bulky yarn and thus fewer stitches to work–what’s not to love about that?! R1: 8 hdc into ring (8 sts). Work in rounds through row 13. R13: ch 2, hdc around (56 st), join. R14-17: ch 3, *front post hdc in next st, back post hdc in next st* repeat * to * around. (56 st). Written pattern copyright Cheryl Bennett 2018, all rights reserved. Please do not reprint or repost this pattern. 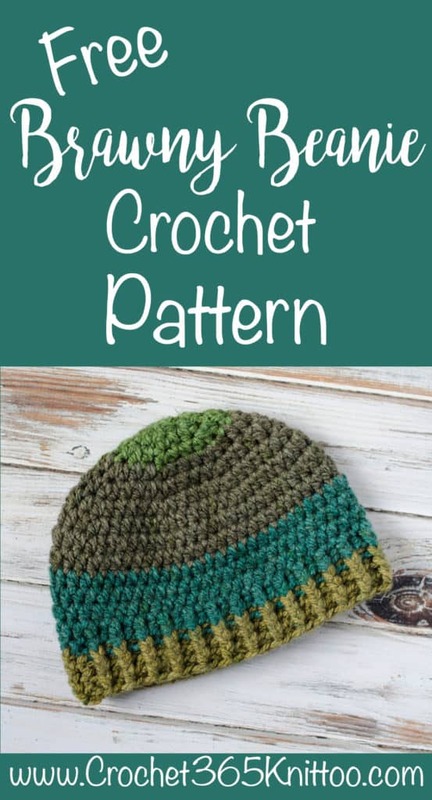 If you would like to share this Brawny Beanie Crochet Hat pattern with others, just link to this page. If you’d like to make items for sale from this pattern, please visit my About page for more information.